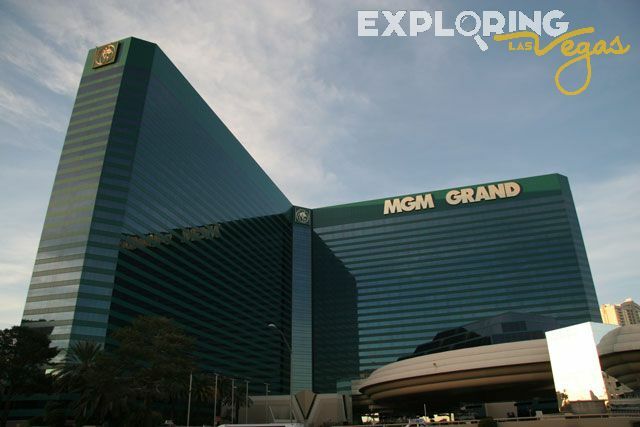 On one end of the Las Vegas strip sits the unmistakable MGM Grand Hotel. Illuminated in its signature green lights, this hotel encompasses all aspects of big entertainment to intimate fine dining and amenities. This 5,034 room hotel exerts sophistication, luxury, and excitement. With a throwback to yesterday's Hollywood glamour, MGM Grand fuses the old with the new. 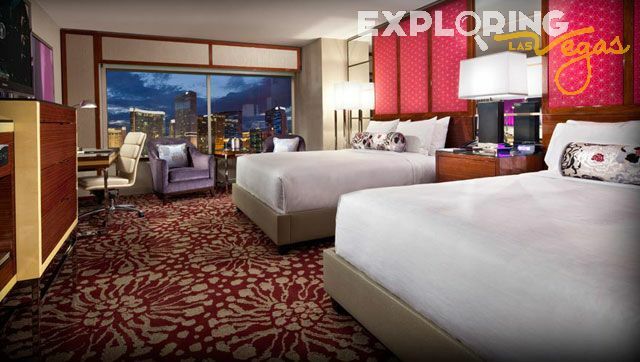 MGM Grand Hotel Las Vegas offers fine restaurants from acclaimed chef's Michael Mina of Seablue and Nob Hill, Emeril Lagasse of Emeril's New Orleans Fish House, and the perfection of Wolfgang Puck's Bar & Grill. Authentic Italian flavors can be traced to Fiamma Trattoria and Asian dining can be found at Pearl. On the premise of MGM Hotel's long history of entertainment, its 17,157-seat Grand Garden Arena has featured the most prominent acts and events in the world including the Rolling Stones, Madonna, and championship sporting events. On a more intimate and sensuous setting, La Femme is sure to rouse your emotions while Cirque du Soleil's KA is sure to rouse your imagination. In addition, the property also boasts the Hollywood Theatre, a 650-seat setting for acts such as magician David Copperfield. Yes, a seven-story parking garage. VIP Concierge service, luggage and maid service, pool, golf, laundry, safe, wake-up calls, vallet parking, lion habitat, shopping. Room Types : Grand Tower, West Wing, Bungalow suites, Celebrity Spa Suites, Hollywood Suites, Premier Suites, Glamour Suites, Terrace Suites, Marquee Suites, Skylofts. Room Amenities : Largest standart room in town, in-room high speed internet, large work desk, AC, cable TV with PPV movies, iron, safe, hair dryer, radio, refrigerator, telephone. Crazy 4 Poker and World Poker Tour All-In Hold'em, Three-Card Poker, Let It Ride Poker, Pai Gow Poker, Pai Gow Tiles, Roulette (also european roulette), Baccarat, Craps, Blackjack. Seablue, Craftsteak, Pearl, Shibuya, Diego, L'Atelier de Joel Robuchon, Fiamma Trattoria, Emeril's New Orleans Fish House, Joel Robuchon, Nobhill, Rainforest Cafe, Wolfgang Puck Bar & Grill, Cabana Grille, Grand Wok and Sushi Bar, Studio Cafe, Stage Deli, Grand Buffet. Tabu nightclub, Stuido 54 club. KA by Cirque du Soleil show, MGM Grand's Crazy Horse Paris adult cabare, The MGM Grand Garden Arena for concerts, David Copperfield magic show, MGM Grand Hotel and Casino Lion Habitat. MGM Grand in Las Vegas was super hotel. We will definitely stay there again.